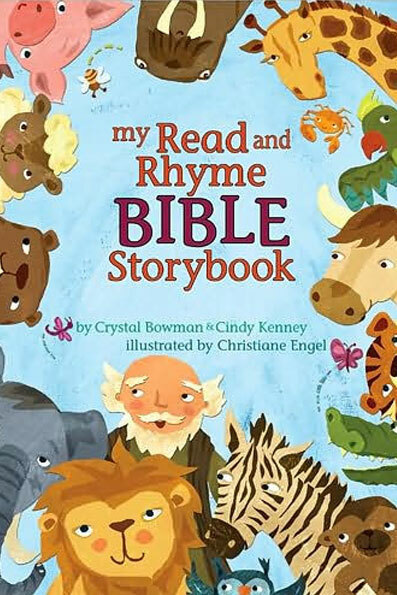 This Bible Storybook combines fun rhythm and rhyme with a learn-to-read format to help students learn about God’s Word while they learn to read. Young readers will enjoy the lively text and rhythm as well as the stories and engaging art. The stories are written using many of the vocabulary words from the Dolch Sight Word List for young readers. To reinforce reading fluency and build vocabulary skills, the vocabulary words and rhyming words are highlighted and featured at the end of each story. Interactive questions and suggested activities are also included to enhance reading comprehension and personal application.